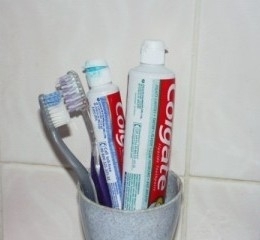 The addition of two chemicals to standard fluoride toothpaste can go a surprisingly long way towards tackling dental caries, according to new research conducted by Colgate-Palmolive. Toothpaste containing a small amount of arginine and calcium-salt formulations can significantly reduce the chance of developing tooth decay and other dental problems. The study, published in dental health journal ‘Caries Research’, was conducted over a period of two years. A total of 6,000 children from Bangkok, aged between six and 12 when the study started, were selected and split into three groups. Each group was then given a toothpaste to use over the next two years. One group was given toothpaste containing 1.5 per cent arginine and dicalcium phosphate, while another’s toothpaste contained 1.5 per cent arginine and calcium carbonate. The third group was the control group, and therefore was given standard toothpaste containing fluoride and silica. The groups were left with the toothpaste, and their dental health was recorded by the researchers. At the end of the two years, the results were fairly conclusive. Both of the groups that had been given toothpaste containing arginine had seen 17.7 per cent fewer decayed, filled and missing teeth over the period than the control group. The researchers recorded no significant difference between the two groups that were given arginine toothpaste, however both had healthier teeth than the control. Interestingly, the arginine had relatively long-term effects, as no difference between any of the three groups was recorded after a year of the study. Previous studies have already found that using toothpaste that contains arginine reduces caries in not just the enamel, but also the root of teeth. However, researchers so far do not fully understand how the chemical does this. The current theory is that it affects the pH balance in saliva, which makes it harder for bacteria to damage teeth. The conclusions drawn from the research, therefore, are that fluoride toothpastes containing arginine “provide significantly greater protection against caries lesion cavitation” than those that contain fluoride alone.